....and another one. This time on SCHOOL. 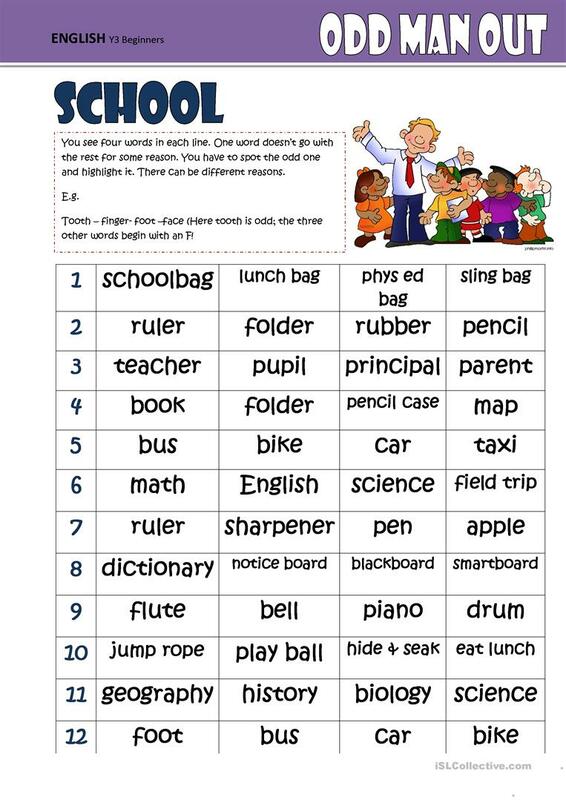 Remember there are two activities in this ws: First kids find out what they think is the odd one out. Next students and teacher discuss their choice -and here you might disagree and need to convince the others of your choice. The above downloadable teaching material is recommended for high school students, elementary school students, kindergartners and nursery school students and adults at Beginner (pre-A1), Elementary (A1), Pre-intermediate (A2) and Intermediate (B1) level. It is a valuable material for working on your class' Listening, Speaking and Reading skills. It is focused on the theme of School.